A crowd of faculty joined us back in November for Dr. Suzanne Goodney Lea's fascinating workshop on "Engaging Students in Research: Lessons from Collecting Police Use of Deadly Force Data," presented by CAT+FD in partnership with the Center for Undergraduate Research. If you missed the workshop, or if you'd like to review it, you're in luck, because it's one of the first presentations we've recorded with our shiny new Swivl. What's that, you ask. Why, it's the latest rotating robotic lecture-capture wonder-gizmo. It's truly slick, and must be seen in action to be fully appreciated. Note: There were some audio recording problems. We are not sure why the audio recording level dropped midway through. It is still audible but you may need to adjust your speakers. Our stalwart Technology Coordinator is in the process of contacting Swivl Tech Support to find out what they think may have gone wrong. Many thanks to Dr. Lea for giving her permission to be our guinea pig. By all means, let us know what you think! Video is one of the most powerful, motivating, and visual ways to learn. Videos can be used to promote critical thinking and active learning. The use of videos in education has become a lot more mainstream due to the accessibility and ease of use of equipment and software, but also due to the growing realization of the pedagogic benefits of video content. In Phil’s article “10 Ways to Use Video in Your Teaching” he provides examples of each of these. If you are interested in seeing examples of any of these refer to the article. 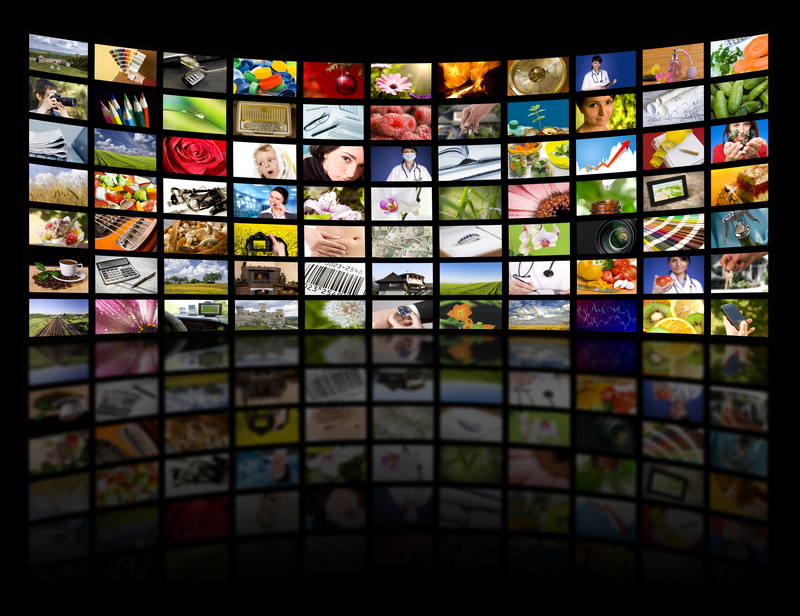 Additionally, it is best practice to include transcripts and closed captions with your videos. Many people believe closed captioning and transcripts only benefits students who have a hearing impairment or have a language deficit. This could not be further from the truth. Closed captioning and transcripts can also help students with cognitive disabilities, as well as learners accessing videos in noise sensitive environments, learners accessing the internet with low bandwidth or with a limited data plan, and basically all learners. Presenting information in multiple ways can help address the diverse needs of learners in the classroom and engage students on multiple levels. Attend the upcoming "Creating Accessible Course Materials: Transcripts and Closed Captions" workshop to find out how to make your videos accessible. Video is one of the most powerful, motivating, and visual ways to learn. You can use videos to promote critical thinking and active learning. There's a big difference between watching a video and learning something from it. Emily A. Moore, M.Ed., instructional designer in the online learning office at Texas State Technical College – Harlingen Campus, gives suggestions to help increase the educational effectiveness of an online course video. Read more in her article, "From Passive Viewing to Online Learning: Simple Techniques for Applying Active Learning Strategies to Online Course Videos." Video can easily and effectively be incorporated inside your Blackboard courses to provide just-in-time feedback and/or to build in spontaneous interaction. You can ask students to create videos to demonstrate learning. If you are interested how to use videos to demonstrate learning, read my “Video Assignments” blog post. This blog post also covers how students should go about linking to their videos in Blackboard. There are several ways to add videos to your Blackboard courses. Blackboard supports embedding and/or linking to video from many other systems and solutions. 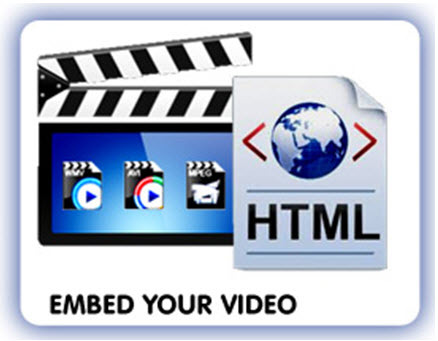 Sites such as YouTube, Vimeo, or other video repositories can be embedded easily by switching to html mode in the Content Editor and then pasting in the embed code. The benefit of embedding video into a course is that it enables the students to stay within the context of the course and within the sequence of instruction, rather than linking out away from course content. Another way to add video to your course is to upload the video file (i.e., MPEG/AVI, QuickTime, Flash/Shockwave, Microsoft .asf and .wmv formats). Video files are generally large files. Each Blackboard course has a 1.25 GB maximum course size limit. Your course size is total of your uploaded video files sizes along with the size of all other course content, including content uploaded into your course by your students. It is a good idea to embed or link to videos rather than uploading video files to your course to help you to stay within the maximum course size limit. You can upload your videos to YouTube, Vimeo, or other media server and then embed or link to the video within the course as explained above. Detailed instructions on recording, uploading, and sharing videos on YouTube can be found in the "Want more information?" section below. When adding video files, it is a good idea to include links to any browser plug-ins or media player files that users will need to view the videos. Note: Video Everywhere, which previously allowed you to upload YouTube videos directly into the Content Editor, is temporarily unavailable due to a change in the Google authentication process. Blackboard is working on a fix for this. We don't have any word on when this feature will be available again. Many teachers know about the power of storytelling in the college classroom. You might start class with a personal story, which helps you connect with your students, or helps your students connect with the course content. You might even get your students telling stories to one another. Less well known, perhaps, is the power of digital storytelling — of using digital technology to tell stories. This takes a little more doing, but with today's tools it's not as hard as it might seem. Write a script, record your voice, throw in some photos and background music — voilà! As an an example, I'd like to point you to The Joy of Summer by Lisa Garza. For teachers, this can be a new avenue for delivering your own stories to your students. It can also be an exciting assignment for your students; properly integrated into the course as a whole and combined with reflection, it can lead to a truly transformative experience. Of course, there are some great resources to help you get started. The Center for Digital Storytelling is the premier organization that has championed this new form. You'll also want to check out Educational Uses of Digital Storytelling from the University of Houston. If you’d like CAT to offer a workshop on this topic, leave a comment. YouTube can be an invaluable learning tool that eLearning professionals can use to make their eLearning courses more interactive, fun, and informative. In fact, it has the power to transform a potentially dull or complicated subject matter into an overall exciting and engaging eLearning experience. The key to tapping into the power of YouTube is to know how to effectively integrate it into your eLearning strategy. You can read more in his article, 8 Tips to Effectively Use YouTube in eLearning. Video can easily and effectively be incorporated inside your Blackboard courses. There are several ways to add videos to your Blackboard courses. To provide just-in-time feedback or to build in spontaneous interaction, faculty and students can use the Video Everywhere tool to record video directly via their webcam or reuse an already recorded video from their playlist. The Video Everywhere tool allows faculty and students to place video wherever the Content Editor is available, from discussion board posts, to assessment feedback, to blog posts, journals, wikis, and of course in announcements and content areas. Furthermore, by leveraging the power and ease of use of YouTube, the Video Everywhere tool allows you to add rich media into courses quickly and efficiently. Blackboard supports embedding and/or linking to video from many other systems and solutions. Sites such as YouTube, Vimeo, or other video repositories can be embedded easily by switching to html mode in the Content Editor and then pasting in the embed code. Video files are generally large files. Your course size is total of your uploaded video files sizes along with the size of all other course content. Each Blackboard course has a 1.25 GB maximum course size limit. It is a good idea to embed or link to videos rather than uploading video files to your course to help you to stay within the maximum course size limit. You can upload your videos to YouTube, Vimeo, or other media server and then embed or link to the video within the course as explained above. CAT is looking for Xavier faculty to collaborate on a grant proposal to make a movie (or, potentially, some other media project) for a general audience addressing significant figures, events, or ideas and drawing its content from humanities scholarship. The National Endowment for the Humanities is accepting proposals for Media Projects, due August 13. Many subjects are possible, but projects that examine connections between the humanities and science and technology are especially encouraged. Projects that engage the power of the humanities to promote understanding of and respect for people with diverse histories, cultures, and perspectives (within the United States and abroad) are also encouraged. Collaborative and interdisciplinary approaches are especially appropriate. More information on the Media Projects can be found on the NEH website. Time is of the essence. If you are interested, please contact CAT's Media Artist, Bart Everson, as soon as possible.